Cappagh Mountain is the 1181th highest place in Ireland. 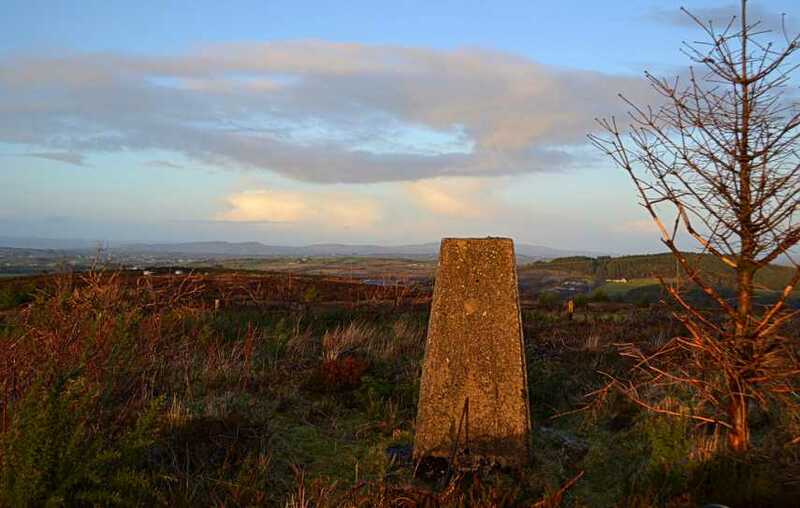 Cappagh Mountain is the most northerly summit and also the second most easterly in the Fermanagh/S Tyrone area. With the new hills that came onboard in January 2014, Cappagh Mountain became my most local, local. It can be accessed by a very narrow 'road' from nearby Cappagh village, and indeed is only a matter of metres off the road. I chose to park a short distance to the NW of the summit, approx. 676667 D, just NE of the junction of this road and a slightly wider road. From here a very short walk along the more narrow road, past 2 bends, will bring you in sight of the trig on your right. Cross the fence at a convenient spot and you'll be at the trig in seconds.